JNN 13 June 2015 Sanaa : The Yemeni army and Ansarullah fighters continued their missile attacks on militarys in the Southern parts of Saudi Arabia. The army and popular forces’ attacks came in response to the continued Saudi fighter jets’ air raids on Yemen’s residential areas. The Yemeni forces hit the military bases in 12 different locations in Southern Saudi Arabia. The army and Ansarullah fired 46 missiles at al-Ain al-Harrah, al-Khoubeh, al-Amoudeh and Al-Sauda military bases. The Yemeni forces also fired artillery shells at al-Ramih, al-Doud and Jabal al-Dokhan regions. In relevant development on Tuesday, Arab media reports said that two Saudi military bases in the bordering areas had come under missile attack by the Yemeni forces. 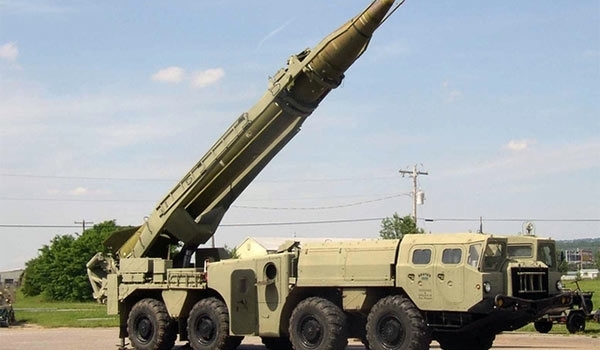 The Arabic-language Al-Mayadeen news channel quoted a military source in Yemen as saying that the army and popular forces targeted the two military bases of Ain al-Harrah and Malhamah with 10 and 7 missiles, respectively. The Yemeni forces also fired 11 missiles at military positions behind Jabal al-Dokhan in the Southwestern city of Jizan. Saudi Arabia has been striking Yemen for 80 days now to restore power to fugitive president Mansour Hadi, a close ally of Riyadh. The Monarchy’s attacks have so far claimed the lives of at least 4,561 civilians, mostly women and children. Earlier today, Yemen’s Ministry of Public Health complained that Saudi Arabia has used internationally banned weapons in its air raids on Yemen. The Public Health Ministry Spokesman Tamim Shami said that some of the injured Yemeni people have symptoms indicating that they were exposed to prohibited weapons dropped by Saudi warplanes during the Persian Gulf kingdom’s war on Sana’a. Shami also said that Yemen is facing an escalation of humanitarian situation due to the shortage of medical supplies. He said more than 5,000 people are currently suffering from dengue fever and Malaria. Saudi fighter jets have also reportedly destroyed drug containers used by the charity organization, Oxfam, to fight deadly viruses in Sa’ada province. This entry was posted in Middle East and tagged Missilies, Saudi Arabia, Saudi Bases, Yemen, Yemeni Forces. Bookmark the permalink.